Wow this is amazing we have an interview with Baron Helmut Zemo! Agent 33: Well this is special. Grant Ward: Really Special, how are you doing Mr Zemo? Baron Zemo: Vat are you doing? You are to address me as Baron Zemo! Understand? Do it or I will blast you with Adhesive X. Grant Ward: Got it....So you have done some amazing things over the years, what is your favorite diabolical scheme? Baron Zemo: Vell there have been so many. You see my mind is faster than yours, so it just zoom zoom zooms with little diabolical schemes itz quite hard for me to pick only one. But Ok you pull my leg so I will spill the bratwurst. My favorite scheme was pursuing the blood diamond, and acquiring the Moonstones. The Moonstones were just such beautiful little devilz! Of course there was the Thunderbolts thing as vell. Agent 33: Yes, I remember being such a fan of the Thunderbolts. You were called Citizen V.
Baron Zemo: Yes, yes Citizen V was actually a zilly fellow killed in WW2. It was quite fun, and brilliant I might add to pose as a hero. You see the vorld becomes locked into looking at people, and organizations in a certain vay. In psychology it is called embedding. At some point all new information is sorted by the mind and those bits that confirm to a person's previous way of thinking are kept. Those that do not fit are discarded. Zuch was the zituation I found myself in. Everyone thinks that I am bad, and the heroes are good. I thought this is zilly, I am the one trying to save the Vorld not these imbeciles. So I took my Masters of Evil team and made them into the Thunderbolts. I told everyone I am a hero, and did zilly hero things. 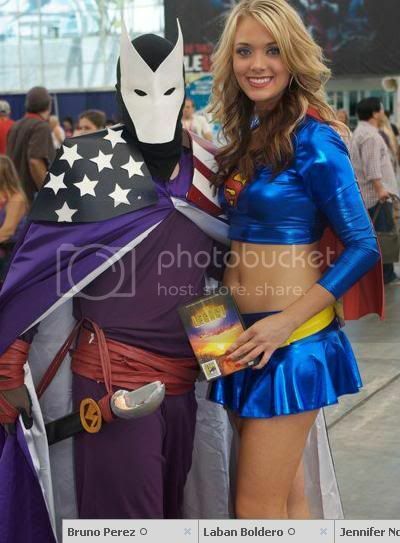 We became quite popular: I was a huge hit at comic cons. Grant Ward: Why on Earth would you stop the charade? Baron Zemo: Vell, the vorld found me out. SHIELD, the Avengers, etc etc, the zilly oafs that always come around knocking over our bases and plans like ve are the bad ones. It is always that way I am afraid. Hydra though always comes back, stronger than before. It is our way. Agent 33: So what are your plans for the future. Baron Zemo: I am full of ideas. Right now Inhumans are quite the rage and I thought I would try my hand with some of these powerful little fellows. I found a boy with an amazing power. I won't go into it all just now but he is quite special. On that note, I must really be going. Grant Ward: Any final word to the people out there. Baron Zemo: If you ware smart you will join your betters, if not you soon will not matter. Strength will always prevail in the end.